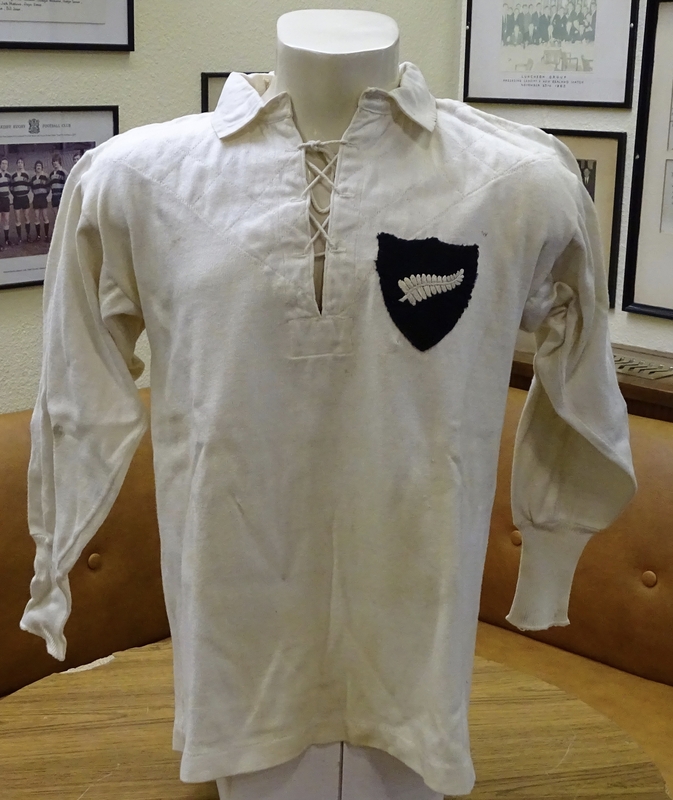 Jersey from the 1930 British Lions tour of New Zealand and Australia. The British Lions arrived with dark blue jerseys. 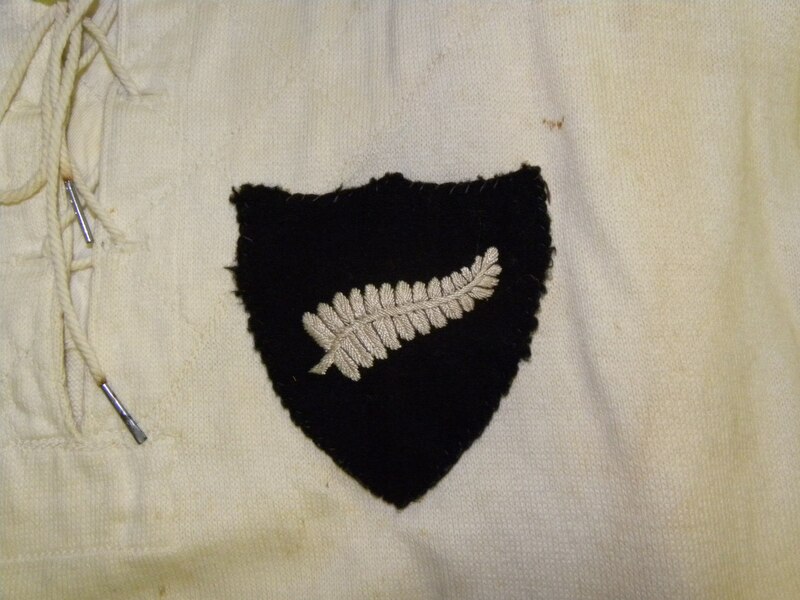 Because the colours of the two teams were so similar, the NZRFU reluctantly produced an alternate white jersey for the All Blacks. 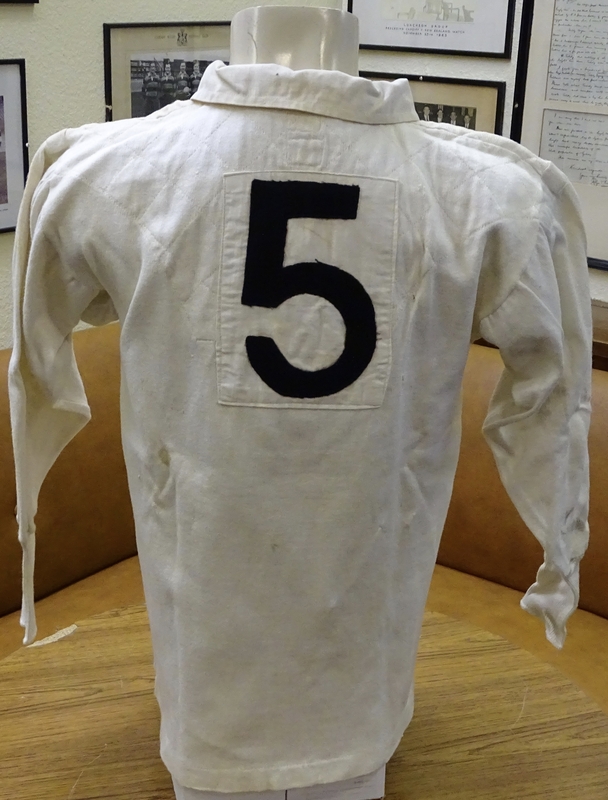 Jersey believed to have been worn by either Burt Cooke or Fred Lucas who both played outside centre (jersey No. 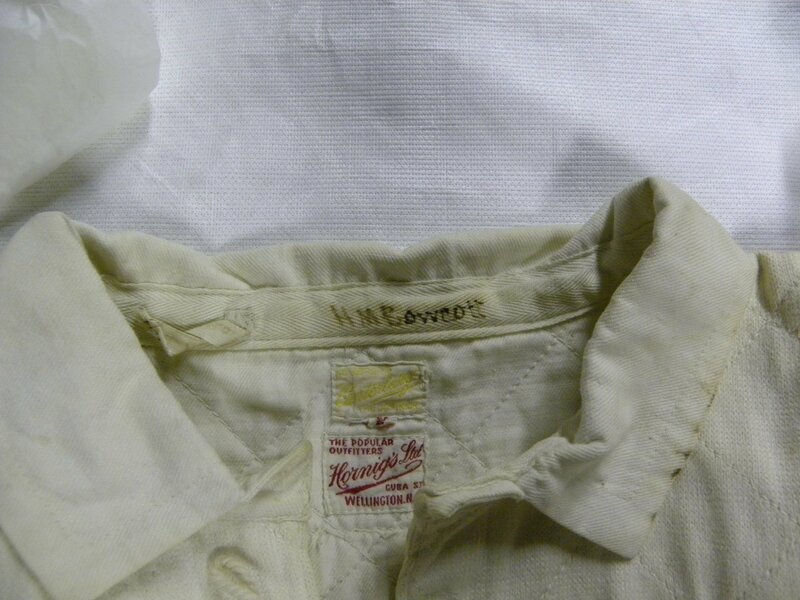 5 in 1930) against Harry Bowcott during the tour.